Hilton Head Island is a paradise for families seeking fun in the sun, but that doesn’t mean grown-ups shouldn’t have their own fun when they can. 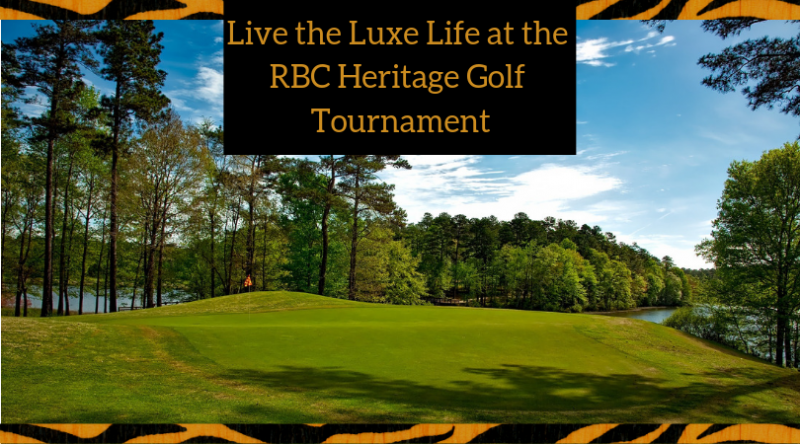 The RBC Heritage Golf Tournament on Hilton Head Island is just one such way to enjoy a day out without the kids. You can purchase single day tickets without a lot of fanfare, or you can live it up in one of the many hospitality venues throughout the course over the week. Be sure to study the ticket options before you purchase, because some offer a great deal for the week, especially if you’re looking for an all-inclusive option. The whole list of ticket options can be found on the tournament website, starting with the day ticket for the practice round at $60 and a daily tournament ticket for $85. The options only get better from there. Single day tickets are also available for some of the club houses, including the Calibogue Club. This ticket provides access to the tournament, as well as a hospitality venue that features climate control (air conditioning! ), soft seating, food and beverages, and stadium seating overlooking the final two holes, where the excitement really ramps up. If you want to experience the full week of fun, look at the packages that are available. The Get Your Plaid On pack offers a souvenir cap; entrance to the clubhouse, Links Restaurant, and Pro Shop; and access to the Heritage Pavilion. The Clubhouse Badge provides similar access, but you’ll have to go without your souvenir cap. If you really want the full experience, check out the package for Doc’s BBQ at 15, which gives amazing views of the course, access to air conditioning, a daily buffet lunch, and beer or sodas. When you stop by to rent your bikes on the island, don’t hesitate to ask if we can help you make plans for the tournament. We’ve been a part of Hilton Head Island for so long that we have the inside scoop.